Under the sweltering heat of the summer sun, five-year old Pea - and her vivid imagination - run wild in the meadows behind her home on the edge of a small village in southern France. Pea's father died in an accident, and now she only has her little sister, Margot for company. Their mother is too sad to take care of them and has withdrawn to a place where Pea cannot reach her, no matter how hard she tries. When Pea meets Claude, a neighbour who seems to love the meadow as she foes, she wonders if he could be their new papa. But what secret is Claude keeping. 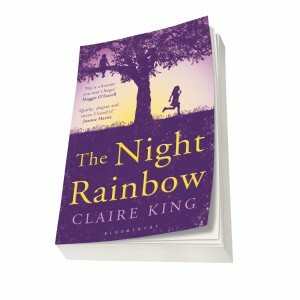 It was back on the 24th October that Jo over at Through the Keyhole mentioned she had been reading 'The Night Rainbow' by Claire King. As I can't read my Kindle in the bath, especially after what happened to me at the beginning of the month, I tend to have a book on hand for such eventuality. Having just finished Beautiful Child by Torey Hayden I had started reading Philomena by Martin Sixsmith on my Kindle. Arriving home from work late one evening all I wanted was a long leisurely bath with a good book. I searched on the 'to be read shelf ' and pulled out a book that didn't appear to be as thick as War and Peace only to discover it was 'The Night Rainbow' by Claire King. I have really enjoyed reading this book and I have found it to be a very entertaining read. The story is told through the eyes of a child and tells of her adventures during one hot summer. Pea has recently lost her father in an accident and her mother is finding the loss hard to bare, especially as she is heavily pregnant. Pea and her little sister are pretty much left to their own devices throughout this time much to the concern of her friend and neighbour Claude. Eventually events dictate a change in the life of Pea and her family. I would certainly recommend as one for the wish list for reading. I'm really pleased you enjoyed reading it. So, did you guess the twist? I was flabergasted and my mind went back over every page wondering if there were clues. There were, but I didn't pick them up. Your blog post sent someone to my own blog, so I popped by to say hello. Thank you for your recommendation, I'm delighted you enjoyed The Night Rainbow in the bath (!) and was so interested by the fact that you got your recommendation from Jo, who in turn got hers from Anna, that I wrote a little blog post about it. Thank you for stopping by my blog. Please leave a comment as I do like to read them and will answer any I receive. Hi my name is Mitzi as a child I was a real bookworm. Reading anything involving animals, mainly horses, ponies or dogs. As always happens tastes change as we get older but if I use the criteria below and something really grabs my attention whether it be fiction or non-fiction then that's the book for me. 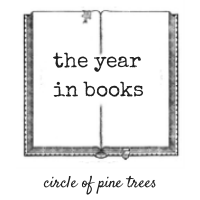 In order to choose a book I go on 3 criteria. 1. Recommendation - you know whether your taste in reading material is the same as the person who recommends it. 2. Write up - should tell you whether the content is something that you will want to know more about. 3. Random page - I pick a page at random to read to see if it gets my attention and the need to read on.